Kerala, the abode of striking natural charm spread harmoniously over the entire coastal region and the scenic tropical land, is home to some of the most beautiful cities in the Indian mainland. One of these landscaped towns in Kerala, which embodies a unique blend of history and modernity amidst an opulence of the pristine blessings of nature, is the city of Thiruvananthapuram. A premium hub for Bio-Technology, Information Technology, Healthcare and Space Science in the nation, the city of Thiruvananthapuram is explored by tourists and visitors arriving here from all across the country as well as crossing the international borders. As such a wide number of visitors also depart from the town on a daily basis, the most convenient and affordable mode of transportation for them being the trains from Thiruvananthapuram. The Thiruvananthapuram Central Railway Station and the Thiruvananthapuram Kochuveli Railway Station are the two main terminals in the city of Thiruvananthapuram, which handle the express and passengers trains operate from Thiruvananthapuram to many important destinations apart from serving the super fast trains and run from other major railway stations across the nation. Trains handled at these railway terminals in Thiruvananthpuram run to faraway destinations as well as to nearby cities, which include Ernakulam, Bangalore, Chennai, Mumbai, Kottayam, Cochin, Kollam, Goa, Delhi, Hyderabad, Calicut and Guruvayur. Trains which operate from Thiruvananthapuram to Ernakulam, adjoining Cochin, run to the terminals of Ernakulam Town in the north and Ernakulam Junction to the south in the district of Ernakulam. 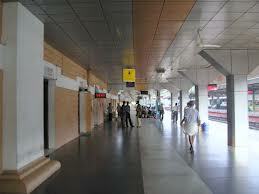 Krishnarajapuram and Bangalore City Junction are the stations served at Bangalore by the Thiruvananthapuram trains. Express trains operated from Thiruvananthapuram run to Chennai Egmore and Chennai Central whereas Madgaon Junction in Goa handles the trains from Thiruvananthapuram Central and Thiruvananthapuram Kochuveli terminals. Kozhikode Main in Kozhikode serves the trains from Thiruvananthapuram and the stations in Delhi, which handle the trains from Thiruvananthapuram, include New Delhi station, Delhi Hazrat Nizamuddin and Delhi Sarai Rohilla. Mumbai CST and Mumbai Lok Manya Tilak Terminus are the stations to which trains are run from Thiruvananthapuram. Trains from Thiruvananthapuram to Hyderabad arrive at Hyderabad Deccan Nampally and Secunderabad Station whereas Kottayam and Kayamkulam Junction handle the trains from the city of Thiruvananthapuram. 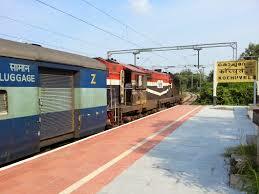 Passenger trains and express trains to Kollam from Thiruvananthapuram run up to Kollam Junction. Trivandrum – Guruvayur Inter City Express/16432 is the only inter-city express train departing from Thiruvananthapuram Central to arrive at Guruvayur Station.